The recent nuclear deal reached by the US, its allies and Iran has incredible, world-wide implications. Nancy Gallagher, the associate director for research at The University of Maryland, offers an analysis of the public perception of this deal. 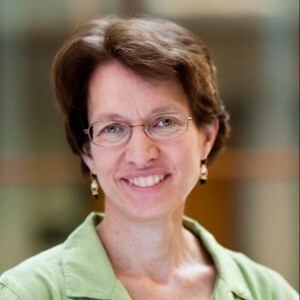 Nancy Gallagher is the Associate Director for Research at the Center for International and Security Studies at Maryland (CISSM) and a Senior Research Scholar at the University of Maryland’s School of Public Policy. She co-directs the Advanced Methods of Cooperative Security Program, an interdisciplinary effort to address the security implications of globalization by developing more refined rules of behavior and more comprehensive transparency arrangements. Her current research analyzes policy options to maximize benefits and minimize risks from the global spread of space capabilities, biotechnology, and nuclear energy. Before coming to the University of Maryland, Dr. Gallagher was the Executive Director of the Clinton administration’s Comprehensive Test Ban Treaty Task Force and worked with the Special Advisor to the President and the Secretary of State on recommendations to build bipartisan support for U.S. ratification. She has been an arms control specialist in the State Department, a Foster Fellow in the Arms Control and Disarmament Agency, and a faculty member at Wesleyan University. Dr. Gallagher is the author of The Politics of Verification (Johns Hopkins University Press, 1999), the editor of Arms Control: New Approaches to Theory and Policy (Frank Cass, 1998), and the co-author of Reconsidering the Rules for Space Security (American Academy of Arts and Sciences, 2008) and Controlling Dangerous Pathogens: A Prototype Protective Oversight System (CISSM, 2007). She has also written articles on space security, nuclear arms control and nonproliferation, public opinion, and other topics related to global security. She received her Ph.D. in political science from the University of Illinois, Champaign-Urbana. Six world powers plus Iran recently agreed on a framework for addressing concerns about Iran’s nuclear program. Studies conducted by the Maryland School of Public Policy and the University of Tehran suggest that the agreed parameters fit within the “sweet spot” of a deal that could receive broad public support in both countries. These studies contradict claims by hardline critics in the United States and Iran that a tougher negotiating stance could achieve a significantly better deal for their side. Our research found that the Iranian public would support a deal based on the principles of the Nuclear Nonproliferation Treaty, but not one that forced Iran to stop low level enrichment for reactor fuel. Large majorities of Iranians could accept stringent international oversight, more inspections, and keeping enrichment below 5 percent while Iran was under stricter controls than other NPT members who have promised not to acquire nuclear weapons. But comparably large majorities opposed dismantling half of the centrifuges that Iran is currently operating and accepting limits on Iran’s nuclear research activities. Does Obama have public support for a deal based on terms that are acceptable in Iran? In a policy-making simulation conducted in February 2015, a 61% majority of Americans surveyed (including 62% of Republicans) backed a compromise deal that limits Iran’s nuclear program and increases transparency in exchange for partial sanctions relief. Only 36% preferred ending negotiations and imposing more sanctions in another attempt to stop Iranian enrichment altogether. Hardliners’ objections may get more media coverage, but the common ground between the American and Iranian publics is equally worthy of attention.